Several recent tax proposals, including the White House’s 2015 budget, have included a provision to eliminate deductions for reinsurance premiums paid to foreign subsidiaries. These deductions represent legitimate business expenses and legitimate risk-spreading. Reinsurance transactions are already under heavy oversight by the IRS, and require appropriate pricing for premiums. 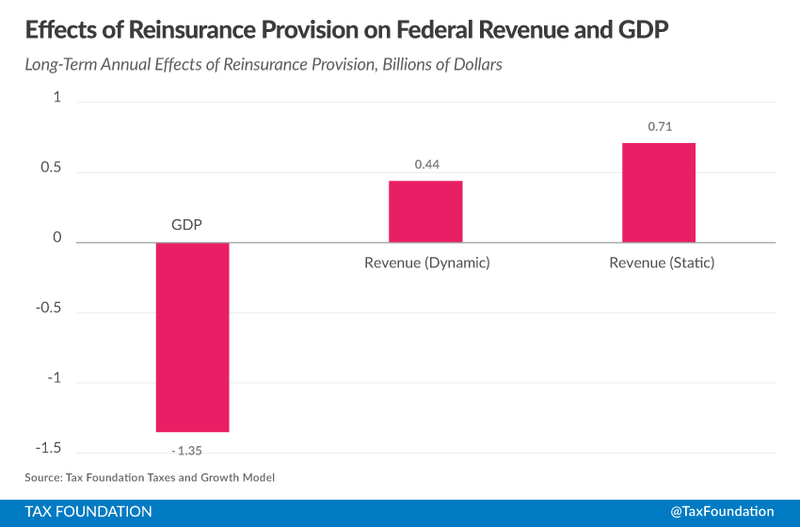 Dynamic modeling of the tax provision shows that it increases the cost of capital and reduces GDP by $1.35 billion while only increasing revenues by $440 million annually. In total, for every additional dollar collected by the government over the long term, the private sector as a whole would lose $4.07. This is an inefficient growth tradeoff; far better revenue raisers are possible. Arguments over foreign reinsurance premiums highlight the problems with the U.S. corporate tax code more generally. Congress should not reform the corporate tax code on an industry-by-industry basis. Instead, reform should be make the corporate tax code more neutral and more competitive. Several recent tax proposals have included provision to eliminate deductions for legitimate business costs. Appearing in multiple proposals has been a provision to eliminate the deduction for reinsurance premiums paid to foreign reinsurance providers. The White House’s budgets have usually contained a measure to this effect. In Congress, Rep. Richard Neal (D-MA) in the House and Sen. Robert Menendez (D-NJ) in the Senate have both introduced legislation on the subject. Finally, the tax reform legislation introduced by House Ways and Means Committee Chairman Dave Camp (R-MI) in 2014 contained the proposal. The proposal eliminates the deduction to insurance companies for reinsurance premiums paid to foreign affiliated insurance companies if the premium is not subject to U.S. income taxation. The proposal also provides an exclusion from income for reinsurance recovered for any arrangement where the deduction was disallowed. The goal of the proposal is to handle a perceived problem of profit-shifting. There is an important and true observation to be made about the insurance industry: insurance business operations, including the profits and losses from those operations, can end up located in other countries or jurisdictions than the one in which the insured property resides. Some lawmakers, such as the ones mentioned above, view this as a form of profit-shifting. There is an intelligent and serious kind of mirror image logic to the proposal—both the money paid to premiums (currently deductible) and the money recovered (currently taxed as income) would be ignored by the tax code, as if the entire transaction never happened. The result is to essentially exclude the role of reinsurance from the tax system entirely, both for good and for bad. The proposal is well-thought-out and serious, but ultimately mistaken on the policy merits. While the deduction eliminated is neatly matched with the income exclusion, there are substantial drawbacks to the proposal: it creates complexity and inconsistency in the definition of the corporate tax base. It neglects the risk-spreading benefits of an international reinsurance industry, treating this legitimate business practice as mere profit-shifting. To the extent that the proposal does raise revenue, it raises that revenue through increasing the cost of capital. And finally, it is part of a worrying trend of piecemeal, industry-by-industry changes to an ailing corporate tax code. Property and casualty insurance is a valuable and necessary feature of capital investment in a modern economy. The goal of insurance is to mitigate risks of damage or financial loss. It accomplishes this goal by collecting premiums from the insured population, and then distributing claims to the members of the insured population that suffer losses. It reduces risk for individuals by spreading idiosyncratic risks over large populations. Insurance companies, though, like their clients, also like to mitigate risks by sharing them broadly. This is done through reinsurance. Reinsurance premiums are the costs of mitigating risk, and the deduction for the reinsurance premiums represents that cost fairly. Thinking about this business model, it is easy to see why insurance and reinsurance are a worldwide business. A large and diverse population is not likely to suffer big losses across the board simultaneously, and is therefore well-suited to make the insurance business model work. In contrast, a small and homogenous population might suffer large and simultaneous losses—for example, it is likely that if one house in an area suffers hurricane damage, many other houses also will. International diversity, then, is a strength to the insurance industry, not a weakness. If the United States has an unusually poor year, foreign investors take part of the losses from that risk in the immediate term. In effect, the worldwide insurance market is a peaceful, nimble, and powerful system for international disaster relief. It is worthwhile to keep this idea in mind: that taking the insurance business to an international level represents a real, significant, and serious benefit to insurance business practices. For an income tax base to be coherent, it must make business expenses deductible. If business inputs are taxed, then policymakers end up levying the same tax multiple times on the same production process, distorting business behavior and penalizing cooperation between firms. If a government intends to tax corporate income, it is critically important to maintain the principle that any expenses that are both ordinary and necessary for doing business be deductible. It is critically important to maintain that definition for a corporate income tax code to have any sort of semblance of neutrality. Any proposal to remove a deduction for a legitimate business expense does damage to the basic principle that income must be measured net of expenses. Reinsurance is, as described above, one of these ordinary and necessary expenses for doing business. Ignoring it adds confusion to the “expenses” side of the corporate income tax base. 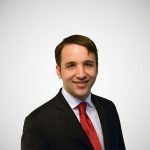 At the same time, the proposal provides an exclusion from income for reinsurance claims recovered when the premium deduction was disallowed, representing a corresponding exclusion from the “revenue” side of the corporate tax base. The result would be that—for the insurance industry—the corporate tax base isn’t really revenues minus expenses. It’s something else. The proposal may not deeply damage the insurance industry as a whole, but it is doing real damage to the intellectual consistency of the corporate tax code. One important and hard-won victory in tax policy is that “special” deductions or preferences for individual industries are a bad idea; they erode the tax base and force higher rates on other taxpayers to create the same amount of revenue. This is both distortionary and unfair. This principle has won a virtually unanimous consensus in the field of tax policy. An appeal to neutral tax policy is a powerful argument. But that neutral policy depends on getting the base right, and the income tax base is revenues minus expenses. The proposal to eliminate deductions for reinsurance premiums is a patchwork exception for an individual industry—the sort of idea that ultimately leads to putting each legitimate business deduction under a microscope and forcing it to justify itself. Property and casualty insurance is a valuable and necessary feature of capital investment in a modern economy. Most businesses and individuals strongly depend on a handful of assets that are extremely valuable, like residential or commercial structures. The ultimate consumer of insurance is domestic capital. Increasing the total costs of maintaining the domestic capital stock, even to raise tax revenue, comes with substantial costs, because capital is a highly important component of labor productivity. Economists often model overall output as the product of a labor supply and a capital stock, where labor and capital are complements to each other. That is, more capital increases the productivity of labor, and more labor increases the returns to capital. Most production functions in academic economics feature this complementary relationship. The Tax Foundation’s Taxes and Growth Model, which uses one of these production functions in order to estimate the growth and revenue effects of tax changes, can take into account the overall effects of taxes that raise the service price of capital. If implemented, the proposal to limit the deductibility of reinsurance premiums would raise $710 million in 2016 according to the latest estimates from the Joint Committee on Taxation. This estimate does not include any sort of dynamic adjustment for the lower capital stock and lower labor productivity that result from the higher service price. Under the Taxes and Growth model, however, the proposal results in a 0.3 percent increase in the service price of capital, as the costs of the tax on reinsurance, one way or another, filter back to domestic savers. Over the long term, a proposal that appears to raise $710 million ends up raising only $440 million as the capital stock adjusts (See Table 1). Over the long term, the economy maintains a smaller capital stock as savers devote more of their money to taxes, taking away some of the available funds for capital formation. The lowered business capital stock results in lower GDP, and ultimately lower tax collections outside of the insurance industry (see Chart 1). Over the long term, the tax provision reduces GDP by about twice the revenue it collects directly. As a result, about 40 percent of the intended revenue from the provision ends up being lost through lower collections of other taxes. The controversy over reinsurance practices and taxes highlight obvious problems with the corporate tax code. Critics of profit-shifting are right to point out that it is possible, at least in practice, to design a fake subsidiary with no real business value, and use that subsidiary to keep income from tax jurisdictions. Critics of foreign reinsurers see the problem this way. But if the problem were that simple, the IRS would be authorized to deal with the problem. The problem for the U.S. tax code is, in other words, that reinsurance transactions represent a completely legitimately-priced business model that actually provides value. Premiums are paid at fair rates, and companies receive claims in return. The service provided with these transactions is a real transfer of risk. The U.S. corporate tax code has problems. Its statutory rate is the third highest in the world behind only the United Arab Emirates and Chad. It is one of six remaining OECD countries under the outdated worldwide system of corporate taxation. The problems with the corporate tax code are broad, and it is in need of a broad solution. In contrast, the proposal discussed in this report is part of a worrying trend of increasingly-elaborate, industry-specific, arbitrary ways of determining the corporate tax base. Eliminating the deduction for foreign reinsurance premiums ultimately creates more problems than it solves. It redefines the corporate tax base to effectively ignore legitimate business transactions. It is poor for growth because it increases the cost of capital. And it doubles down on a dubious corporate tax system in need of broader reforms. Congress should not go through the tax code industry-by-industry, legislatively redesigning the definition of corporate income on an ad-hoc basis in an attempt to find more corporate revenue from overseas firms. Instead, it should look to larger reforms that make the U.S. more attractive as a domicile for corporations. Joint Committee on Taxation, Description of Revenue Provisions Contained in the President’s Fiscal Year 2013 Budget Proposal (Jun. 18, 2012), https://www.jct.gov/publications.html?func=startdown&id=4465. The Committee’s description for Fiscal Year 2015 refers back to this document on the reinsurance proposal, as it does not change from year to year. This issue, often called “tax pyramiding,” can be a problem in any business tax system that has the potential to tax business-to-business transactions. Scott Drenkard, The Texas Margin Tax: A Failed Experiment, Tax Foundation Special Report No. 226 (Jan. 14, 2015), https://taxfoundation.org/article/texas-margin-tax-failed-experiment. This principle, in fact, is written directly into the Internal Revenue Code. See: 26 U.S. Code § 162 – Trade or business expenses. That is, the ongoing costs of maintaining property, including depreciation and all taxes. Under the Taxes and Growth modeling assumptions, the saving rate remains constant but the desired capital stock necessarily becomes smaller over the long term as savings are devoted to taxes rather than investment. Joint Committee on Taxation, Description of Revenue Provisions Contained in the President’s Fiscal Year 2015 Budget Proposal (Dec. 17, 2014), https://www.jct.gov/publications.html?func=startdown&id=4682. Of the $270 million in lost revenue in the dynamic analysis, the majority – $160 million – comes from personal income taxes, and $90 million more comes from payroll tax revenues. Internal Revenue Code §482 has broad rules that affiliate transactions must be priced at “arm’s length.” Additionally, §845 applies specifically to reinsurance, and allows the IRS to undo reinsurance transactions made for tax evasion. The other five are Chile, Mexico, South Korea, Ireland, and Israel.